The picture is stark. Writing in the Atlantic, Olga Khazan says bariatric surgery is out of reach where people need it the most. 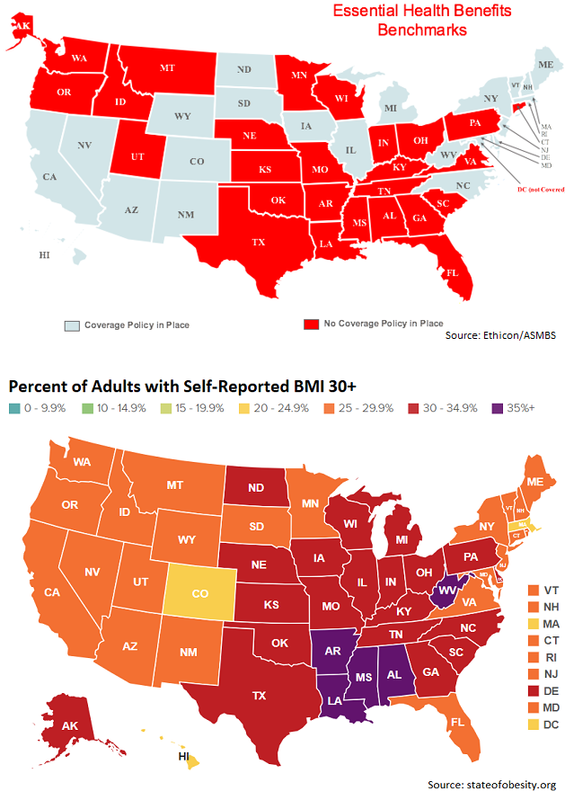 The five states with the highest rates of self-reported BMI in the range of obesity are WV, MS, AL, AR, and LA. But not one of those states requires insurers to cover bariatric surgery as an essential benefit of health insurance. Adding a bariatric benefit in a conservative state where there is a prejudice or bias against morbidly obese people . . . so many people think you’re enabling them. For us, it’s been frustrating because if you just adhere to logic, it’s a good investment. Obesity is the last acceptable bastion of discrimination in this country, and people who deal with obesity get treated like dirt. That shows up in these insurance plans. People who need and want the surgery have some strong reasons. 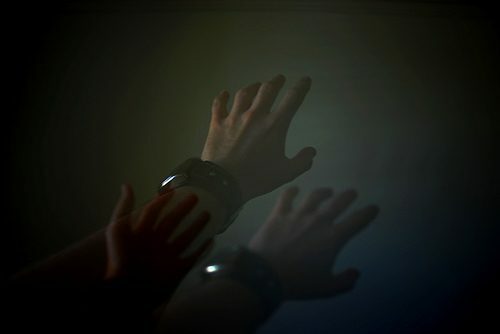 They want a longer, better life. They want to clear up diseases like diabetes that just keep getting worse without it. So some health plans require people to lose weight before they get the surgery. But if you lose too much, it might disqualify you. Some do the opposite. They require patients to prove that they can’t lose weight with diet and exercise plans that have already failed them many times before. The list of creative ways to stall and discourage people is long. Of course, the HMO doc is dead wrong about exercise “working so well” for weight loss. But facts are not driving these policies. Prejudice and money are. Health plans simply make more money when they deny services. Profits come today. Death and disease come later. This nonsense continues only because people with obesity feel so stigmatized that they accept it. We encourage you to join the OAC to demand change. Click here for more from Khazan in the Atlantic. That thought leader with a large HMO needs to be named and shamed out of his job. Also a person suffering an injury like a diabetic foot amputation because of their untreated diabesity needs to sue whoever prevented reasonable access to evidence based care. Discrimination based on stigma will get dismantled under cross-examination in court.